If the worst case scenarios for sea level rise come true and we get between 30 cm and/or 9 metres of sea level rise in 100 years, what's the worst that could happen? We would need to rebuild our coastal resorts. We do that anyway about every 60 years. They are not built to last and go out of style soon after their paid off. If its profitable no government funds are needed. If its not profitable blow it up and make a park. We would have to jack up or move a few hundred historic buildings. At five million each that's a few billion and half that will be millionaires 'moving house'. Some low lying towns will need to dig a hole and build a hill in or next to town. If they are smart all new structures will be multi-story and will be built on that hill or will be connected to it with a bridge at 3 to 9 meters above sea level. Turn the hole into a nice lake and put floating houses on it. Most towns already own the needed earth moving equipment. In 100 years you can heap up a lot of dirt. (I do not trust dykes and levee banks, too many have failed, why make them when for the same cost you can raise the town.) If you loose crops in a flood then you were growing the wrong crops in the first place. Grow something you can harvest before the flood season. We need to farm coral in the pacific to make more sand fill to adjust the hight and shape of about 300 atolls. The coral will grow up to match sea level rise but there will be lags and cases where the natural process messes up the real-estate values- atolls move about; real-estate boundaries don't (they could and should on atolls but don't now). We would need to "build up" on those islands and out over the lagoon or the open sea with floating factories, malls and apartments. Most of the low islands of the Pacific, Caribbean and Indian ocean are under developed and needs reconstruction anyway. Those Island nations own millions of hectares of sea bed with minerals; They only think their poor. If its profitable government need not interfere. Some coastal farms will need to switch to growing salt tolerant crops or fish. We already have a salt water irrigated grain: Palmer's grass ( Distichlis palmeri ) A biofuel crop: Salicornia bigelovii and a sugar crop: Nypa fruticans. (mangrove palm) There are many other halophytes, salt tolerant plants, being developed as crops. Some third world estuarine systems will need to be redesigned and rebuilt with all of the above measures. However since they are third world countries they need the development anyway. If they can't discover (or refuse to accept) the tools of modern democracy, development and capitalism then they will stave long before the sea rises to get them. That's it! A few trillion dollars of free enterprise and profitable development or redevelopment that would have happened anyway. The occasional million dollar community investment in the form of donations to educational institutions and heritage foundations so they can re-educate builders and farmers and move the odd historic building. It need not be done at all with taxpayer funds. Sea level rise is much slower than a tsunami. While the latter is horrendous; even the elderly in some cases outran the Japanese 2011 tsunami. Whole cities can outrun sea level rise! Those that push Earth Hour fail to acknowledge that without backup systems or candles, both mostly fossil fuel technologies, solar fails in winter, particularly if there's snow. I'm trained in that field: Energy storage is the critical tool we need to make grid solar and wind work. According to calculations grid storage needs to be 16 to 18% depending on whether it snows and how much biofueled grid power is available as a backup tool. Pumped storage between dams (or cisterns) of different hight is 90% efficient but the greens wont allow more dams. Its particularly effective if wind and solar drive water pumps directly since both are more efficient at pumping at low wind and on dim days. Hydrogen is a viable technology too if your not trying to make it for transport. Hydrogen electrolysis is 80% efficient. The inefficiency often cited occurs where your then liquefying the gas, that's very inefficient. 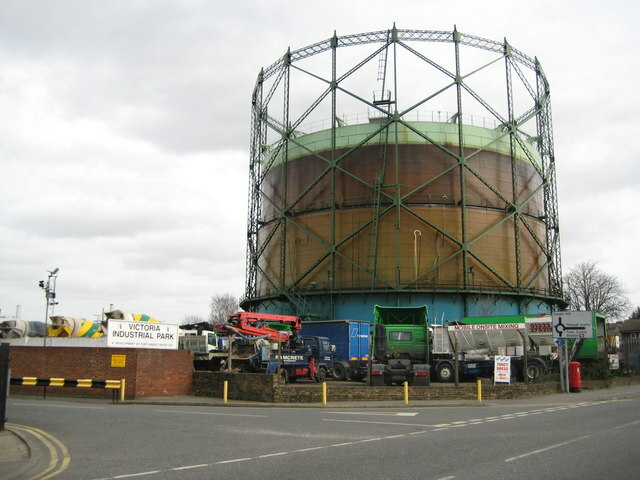 If you store the gas in a simple 18th century gasometer it would be cheap and sustainable grid storage particularly if the hydrogen is plumbed into a conventional coal fired power station. Yet no government has backed such a simple technology and the greens might oppose the gasometer's. Compressed air storage is also viable, 2 working plants at the large scale and several at the micro/ house hold scale, but because its 130 year old technology you can't get a patent and capital markets are not interested if the solution is not exclusive. To do 10000 compressed air systems you need at least 100 companies. Exclusivity is the problem. World War one destroyed exclusivity in the fossil fuel game; we ended up with hundreds of companies in the game beaching each others patents willy nilly. When governments say their trying everything please remember its always a lie. In order to make this viable you also need a price differential between the makers of energy and the price of energy at the house hold or factory meter. There needs to be a peak and off peak differential at the energy producer not the energy consumer. This margin allows the grid storage companies to buy low and sell higher into the peak demand. If renewables are paid the same price per watt regardless of their reliability there is no margin for the grid storage companies. They can't capitalise the needed technology. If Solar is subsidised without consideration for demand patterns and the need for grid storage the result is a negative margin blocking grid storage altogether. Some in the renewable industries reject base load energy and the need to match generation to demand patterns. Yes it is possible to change demand patterns a little but these things are often locked into how all societies work. No society has been able to change them significantly. If grid storage is properly priced into a grid then there is less profit for intermittent energy producers like solar. However without grid storage these energy technologies are not viable beyond 6% of grid capacity. Generally grid storage should make renewables viable and reliable and therefore profitable. It should be profitable. If allowed, not encouraged just allowed, it should make a solar wind system viable as a response to real or perceived energy scarcity.